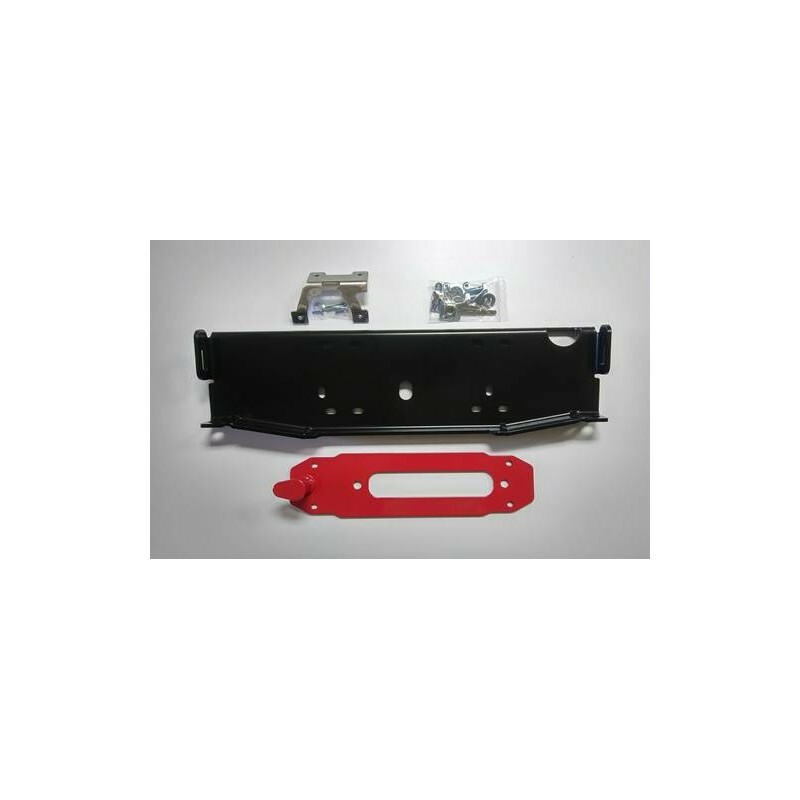 OFF CENTER WINCH SET-UP WITH OFF SET TRIM PLATE, VACUUM PUMP RELOCATION BRACKET - FOR USE WITH WARN 9.5 CTI/TI WINCHES ONLY. 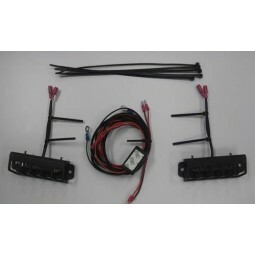 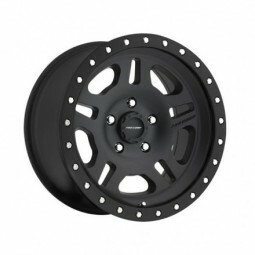 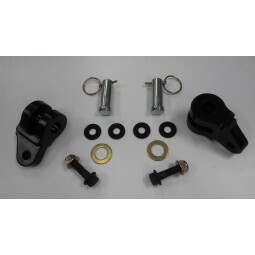 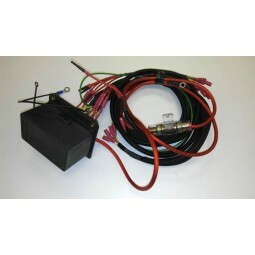 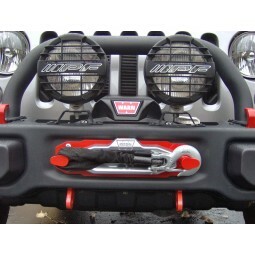 Note: NOT SUITABLE FOR USE WITH WARN ZEON WINCHES AND All SMALL BODY WINCHES LIKE SMITTYBILT X20/XRC/X, WARN VR, ENGO WINCH, SUPER WINCH AND SIMILAR WINCHES WITH SYNTHETIC OR STEEL LINE/CABLE. 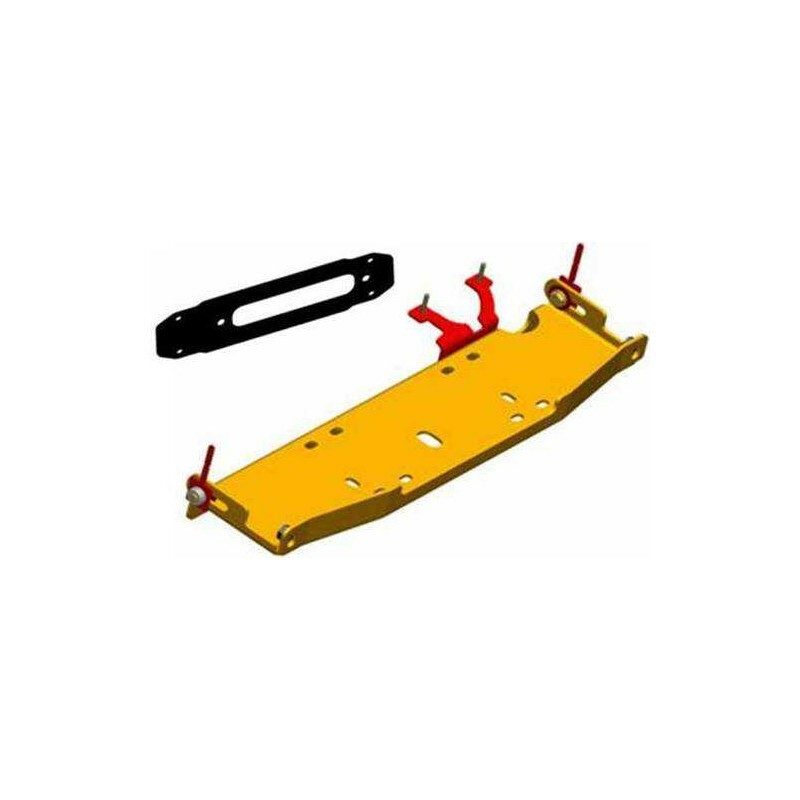 Note: In order to relocate your vacuum pump, you will have to cut the factory relocation bracket. 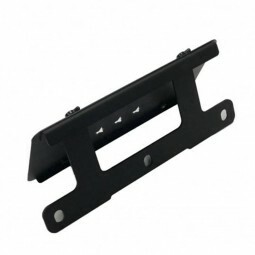 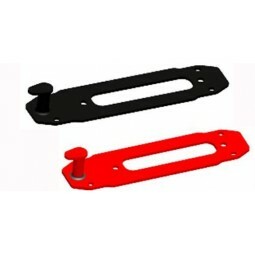 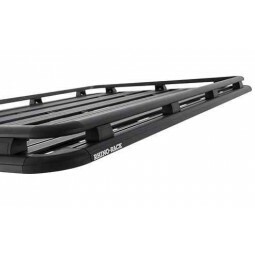 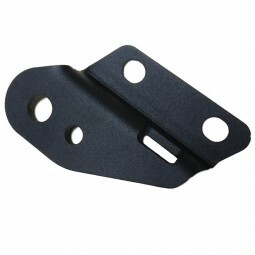 Our inboard chassis mounted winch plate/mount will get you out of sticky situations. 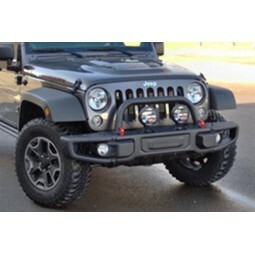 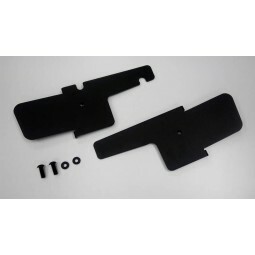 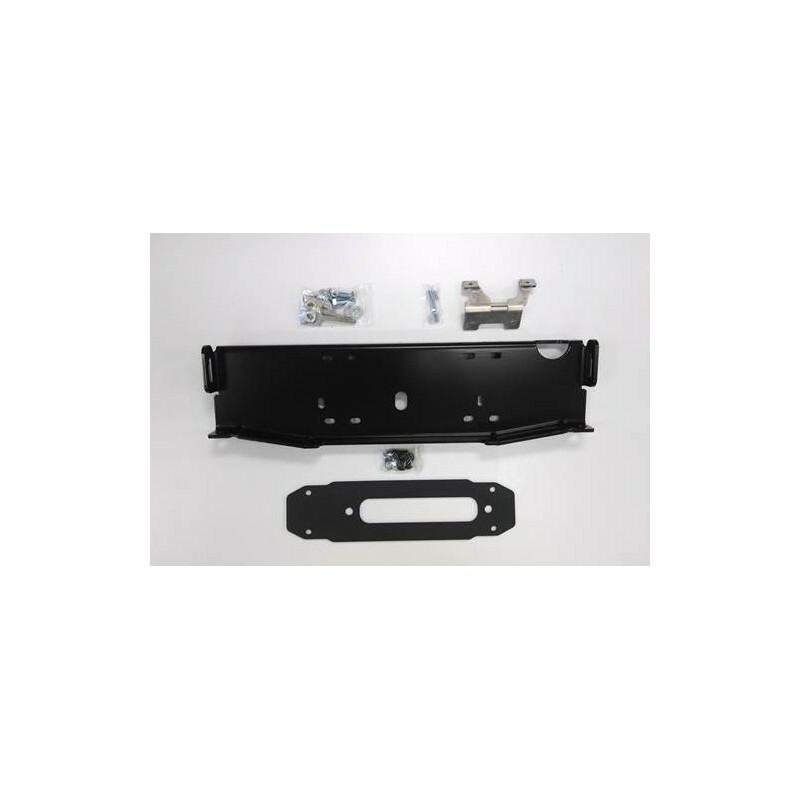 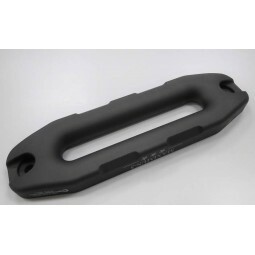 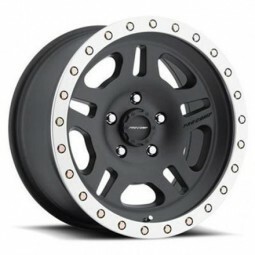 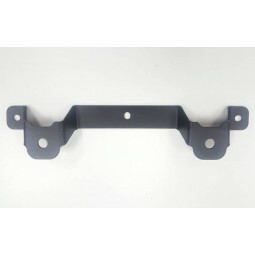 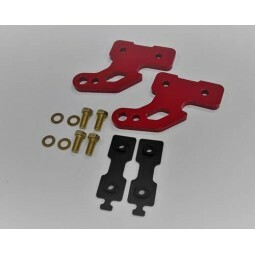 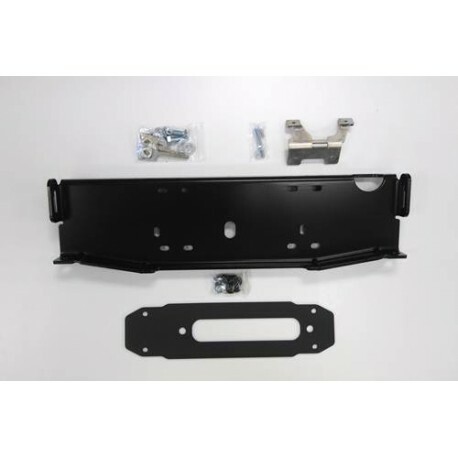 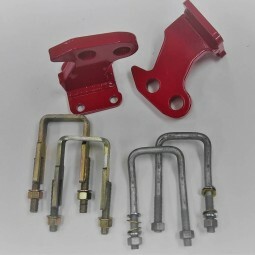 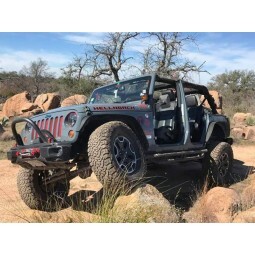 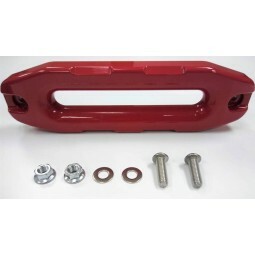 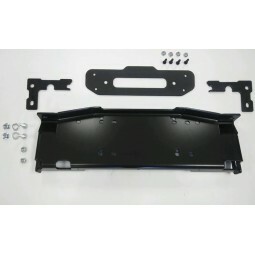 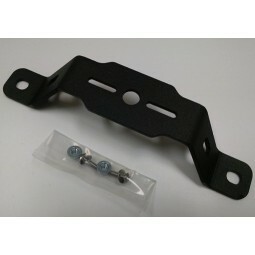 The plate is made of heavy gauge steel and is cleverly engineered to provide a structurally strong and stiff mount for your winch. 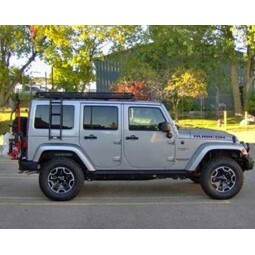 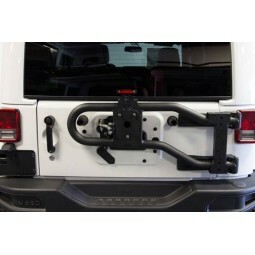 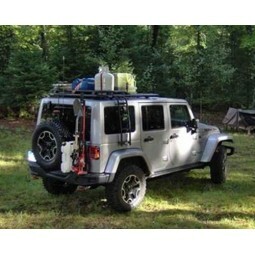 The system is universal to give you the freedom to install a winch of your choice whether for centered or offset set-up. 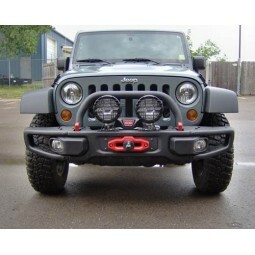 Maximus-3 Winch Mount/Plate packages offer optional accessories depending on your winch set-up. 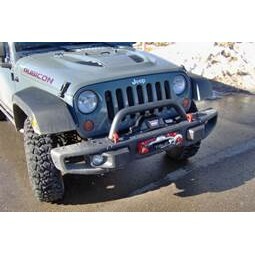 Note: We do not recommend installing WARN Power Plant winch due to its oversized body dimensions to fit in the 10A/X and Hard Rock bumper.